Warm Springs Lodge is located on Union Pass about 25 minutes from Dubois, WY. The elevation is 8500 feet above sea level. 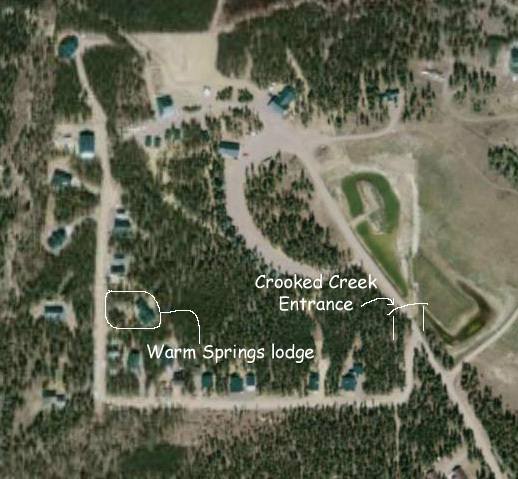 There are 3 resorts within 1/2 mile; Crooked Creek Guest Ranch, Lineshack and The Sawmill. Directions: Follow the signs to Crooked Creek Guest Ranch. Just before the entrance, turn left. Warm Springs Lodge is the first cabin on the right after making the second right.